01.03.2015. Coventry, England. Aviva Premiership. Wasps versus Gloucester Rugby. 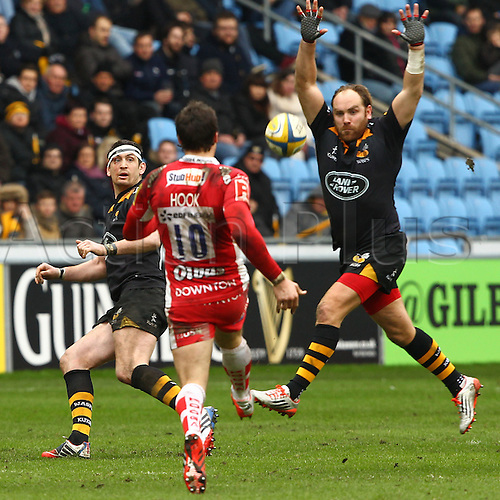 Wasps fly-half Andy Goode attempts to charge down a kick from his opposite number James Hook (Gloucester).